Natural stone is considered a high-quality material. It helps to create cozy and elegant atmospheres, regardless of where it is placed. It is also a long-lasting material, completely able to bear with bad weather conditions (in outer spaces) or the changes in temperature (in inner areas). 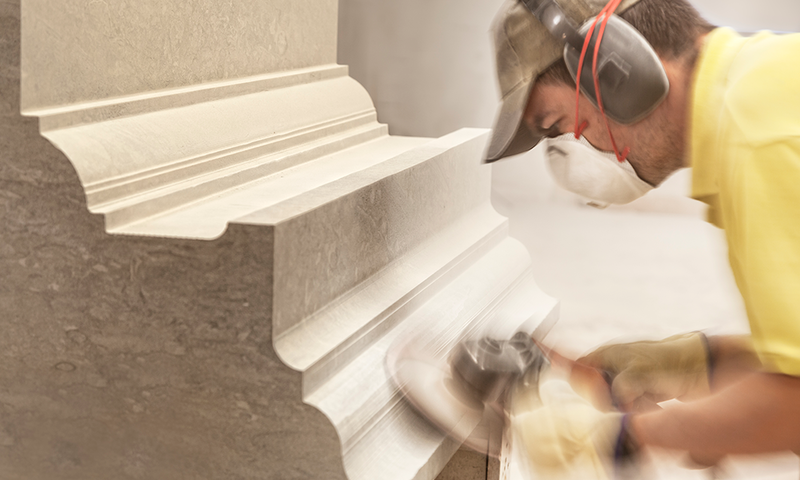 However, natural stone also requires some specific care measures to maintain its beauty over the time. In the first place, it’s important to know that natural stone, in inner and outer spaces, needs to be cleaned with warm water. Besides, if you also want to disinfect it, it’s recommendable to use neutral soap. In case you have used other products to remove more complex stains, you should rinse it abundantly and, after that, dry it with a cloth. That is the best way to prevent the stone to get stained due to the remains. When cleaning facades with no specific stains, you will only need to use water. As you know, natural stone absorbs any kind of substance due to its porosity and, for this reason, in specific situations with complicated stains, we recommend you to ask our team about the correct way to treat them. We will suggest you the best treatment in order to maintain natural stone color, consistency, texture and bright. On the other hand, if you need to clean exterior limestone with oxidation problems, first of all you will need to remove the rust. After that, natural stone should be treated properly so as to prevent the problem to appear again. ¿Do you need to clean natural stone floors, staircases, benches or furniture? As we said before, you can only use water and neutral soap. It is not advisable to employ bleach, ammonia and sharp tools that could damage the stone surface. The best option is to clean the stone softly with circular movements using a sponge, cloth or a brush with soft bristles. However, due to our daily routines, it’s likely we spill different substances on the stone and, consequently, it gets stained. Oils, paints, coffee, wine… can damage the material. These are considered more complex stains and they need to be treated specifically. In a nutshell, warm water is the best option for the natural stone cleaning and care. It never affects its color, texture and bright. Nonetheless, be aware that before acting on your own, we recommend you to contact the distribution company.